I know it's cold on Mars. But...a snowman? 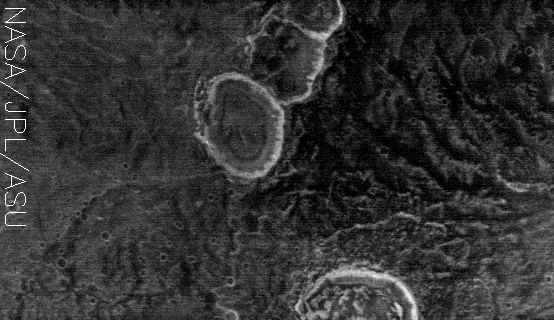 Actually, the bright crater rims in this nighttime IR image give the appearance of a snowman. This image was originally released as part of the THEMIS Art series.